The Yonex SHB SC6EX men's badminton shoes feature ultimate cushioning with a low-cut design. They utilise the Yonex 3-layer Power Cushion that absorbs shock and reverses the impact energy for smooth transfer into the next movement. They provide reduced impact from the court and shock load on feet and ankles. Maximum energy is conversed to achieve additional power and rapid footwork. 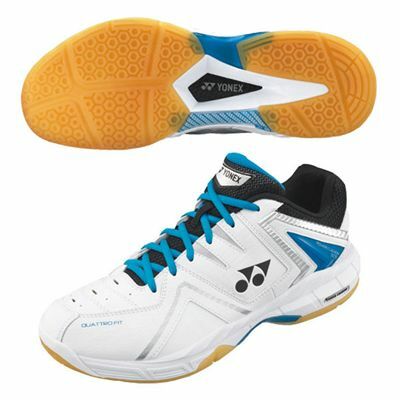 The shoes provide minimum muscle fatigue and enhanced exercise benefit and utilise the Yonex lightest ever material. for submitting product review about Yonex SHB SC6EX Badminton Shoes.